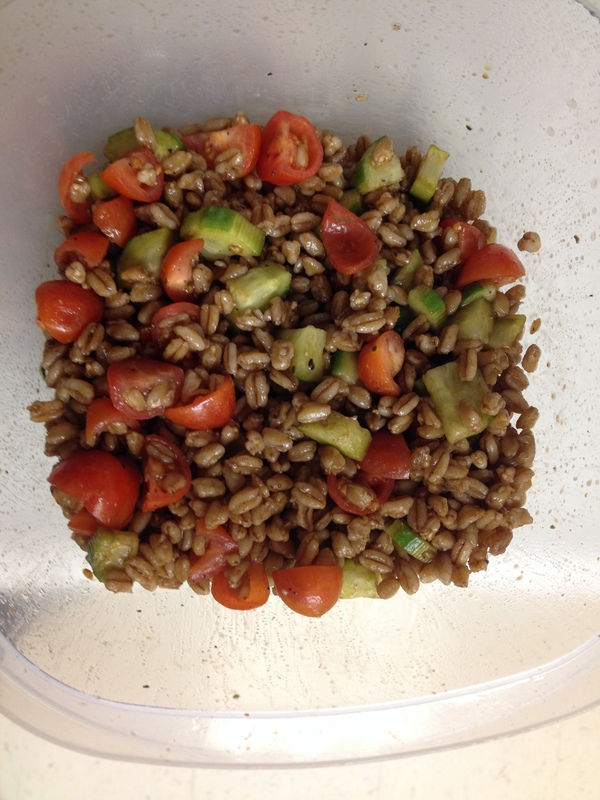 They have a healthy side option at Uno’s called the Farro Salad. It is delish! 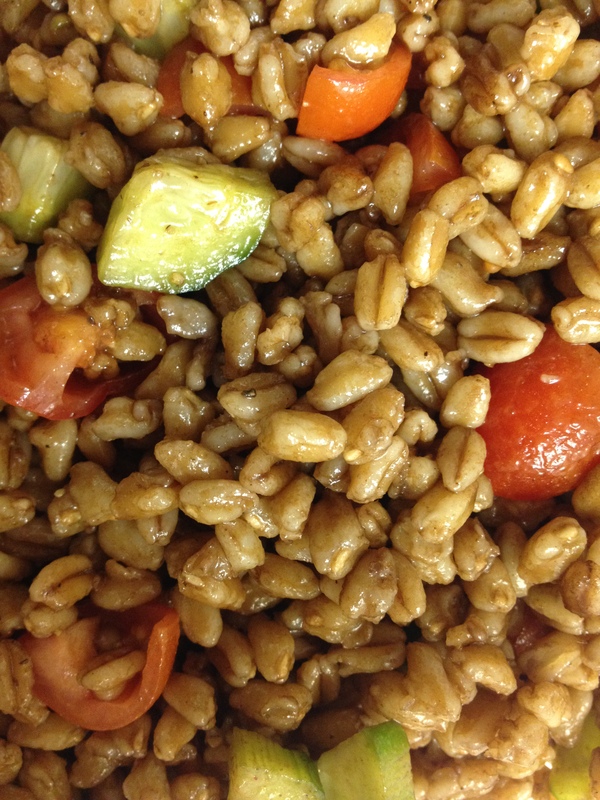 I usually get the roasted vegetable wrap with the farro salad on the side. It is the perfect amount and just the right flavors. With spring right around the corner (fingers crossed! ), this is the perfect combination of comfort and fresh rolled into one! 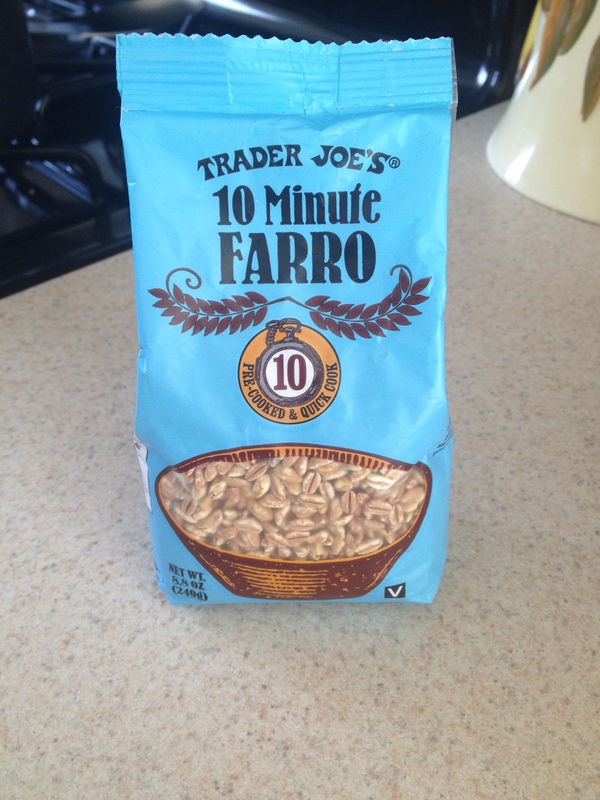 Trader Joe’s has a 10-minute Farro that I picked up during my last shopping trip. 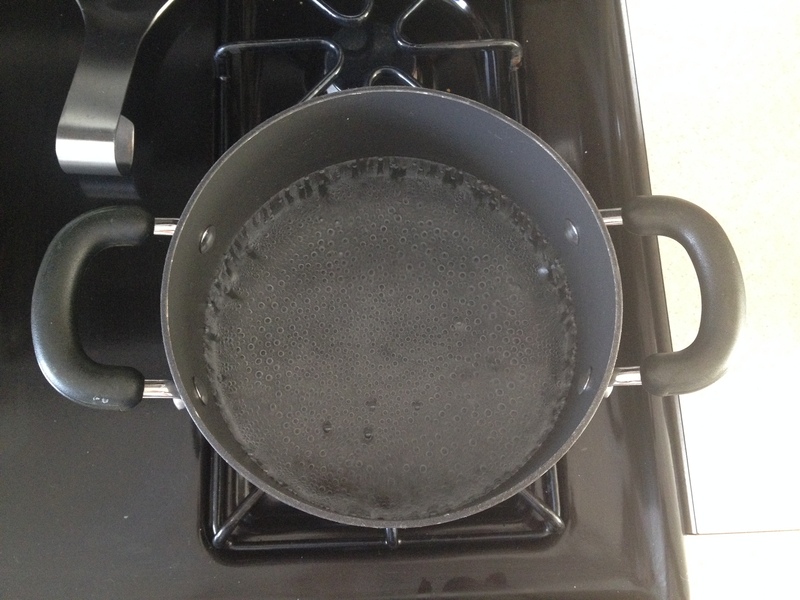 Boil for 10-12 minutes (according to package directions) and then drain. That’s it in a nutshell. 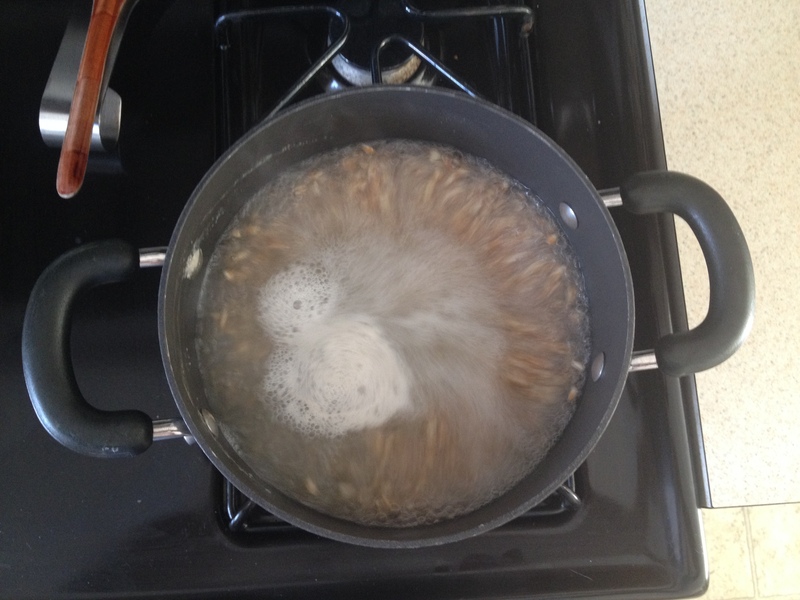 Now, to make it similar to Uno’s recipe, I added a bit of olive oil (2 Tbsp. ), balsamic vinegar (2-3 Tbsp. ), and salt + pepper to taste. 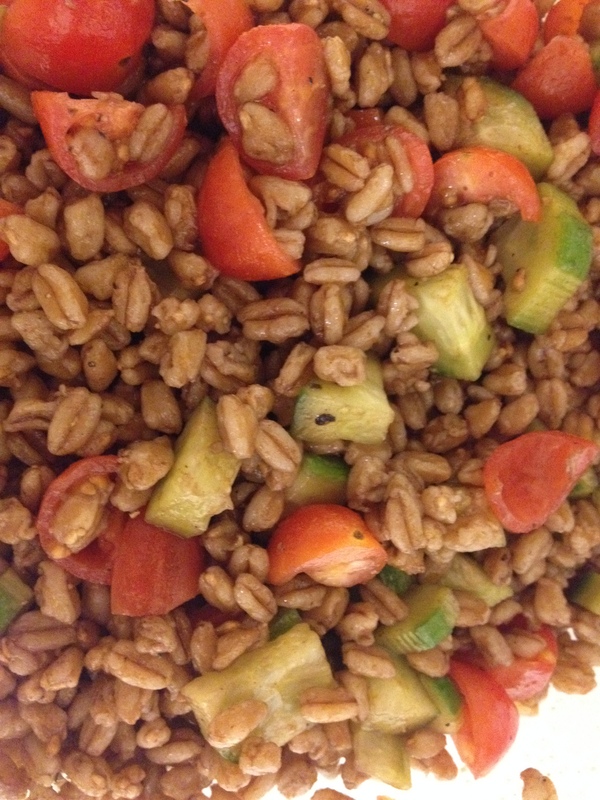 Then I used persian cucumbers and grape tomatoes from Trader Joe’s to add some freshness. The end product was perfect when we paired it with our Mahi Mahi fillets from Trader Joe’s! I hope you get a chance to try this delicious comforting and fresh side with your next meal! Bon Appetite! « How many chocolate chips do you prefer!? !